Summer is coming to an end, and some of us are checking off those summer bucket list items like camping. Earlier we gave tips on How to Pack for the Road. 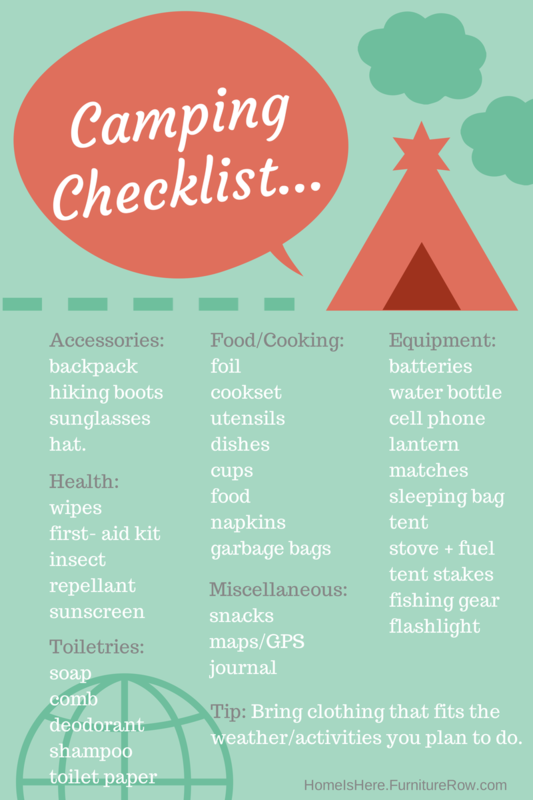 Now we’re giving you an easy list of items to always bring when camping. 1. Accessories, such as a backpack, hiking boots, sunglasses and a hat. 2. Clothing that fits the weather and the activities you plan to do. 3. 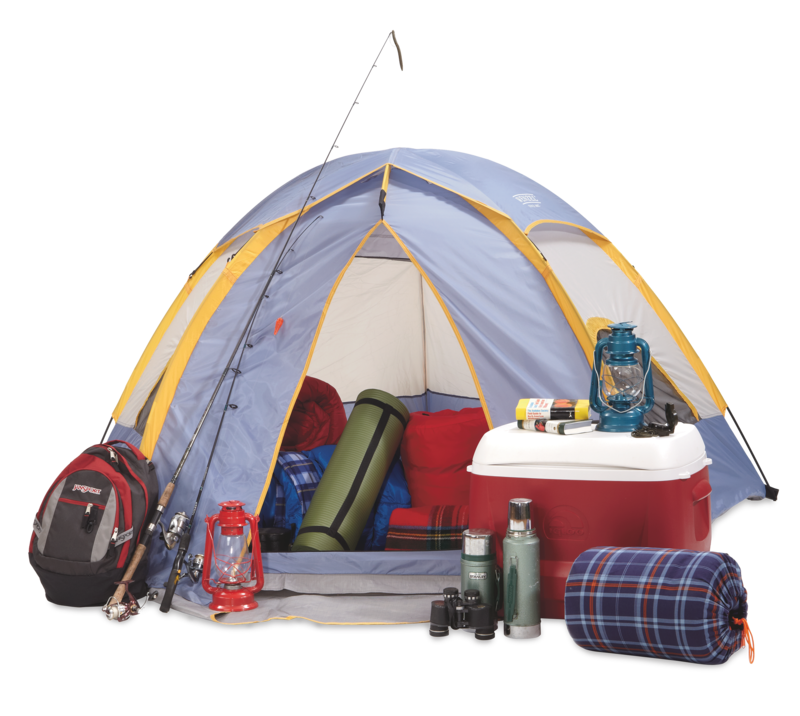 Equipment and gear: batteries, water bottle, cell phone, lantern, matches, sleeping bag, tent, stove and fuel, tent stakes, fishing gear, flashlight. 4. Food and cooking: foil, cookset, utensils, dishes, cups, food, napkins, garbage bags. 5. Health: antibacterial wipes, first- aid kit, insect repellant, sunscreen. 6. Toiletries: soap, comb, deodorant, shampoo, toilet paper. 7. Miscellaneous: snacks, maps/GPS, journal. 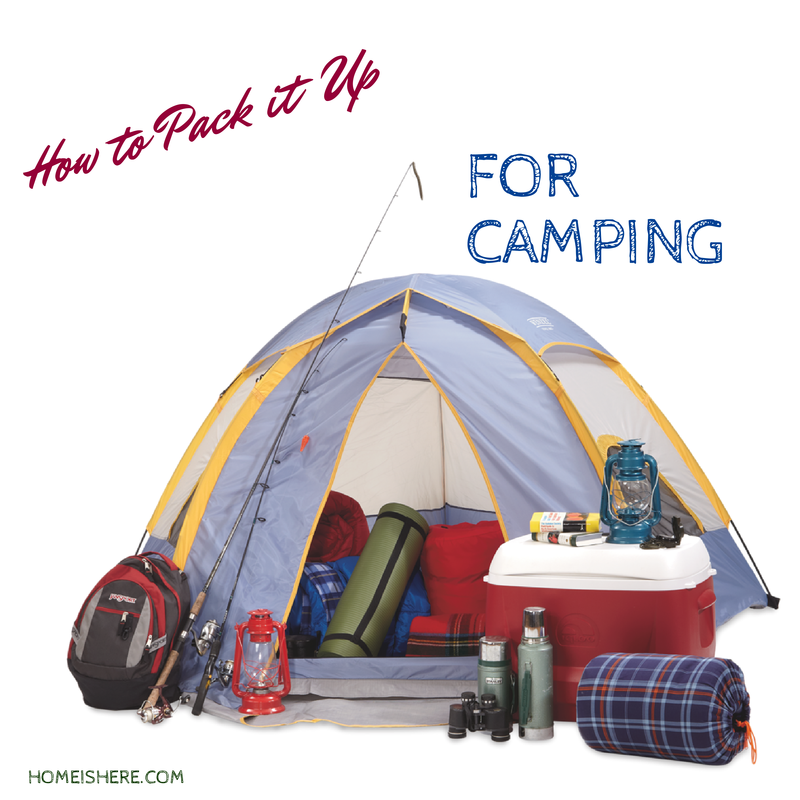 Avoid the hassle of searching for camping gear each time you pack for a trip by storing items together in a specific location or in a few labeled storage bins. Also, keep your packing list handy so you can reference it from trip to trip and you won’t need to re-create a list each time! Be sure to follow our Operation Organization board on Pinterest.